Our laboratory is delighted to announce the recent installation of a new Rockwell hardness testing machine. 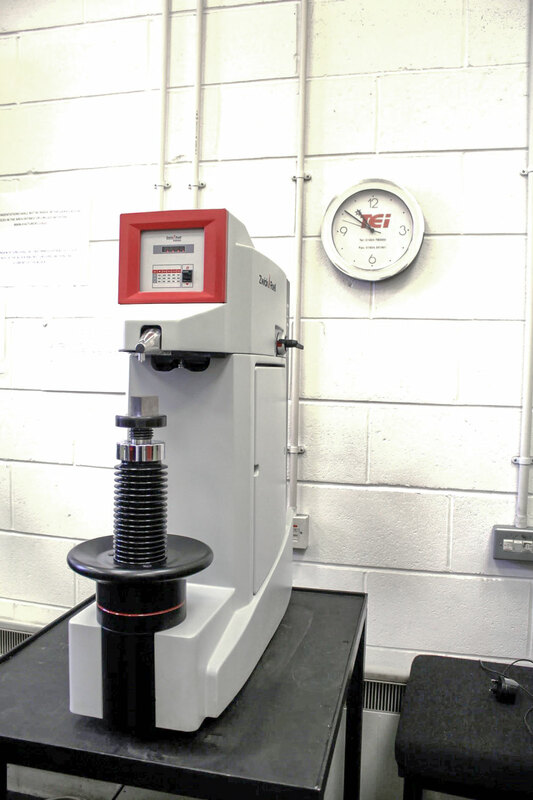 The new machine allows us to meet the latest standards in Rockwell hardness testing. It is a key instrument with regards to our welder qualification and weld procedure testing as well as general hardness testing requirements. The new instrument provides automated hardness testing for the B and C Rockwell scales with testing carried out to EN ISO 6508: 2016 and ASTM E18-16.